I decided to create this costume based on my favorite snapchat filter, the vomiting rainbow. It is truly spot on! 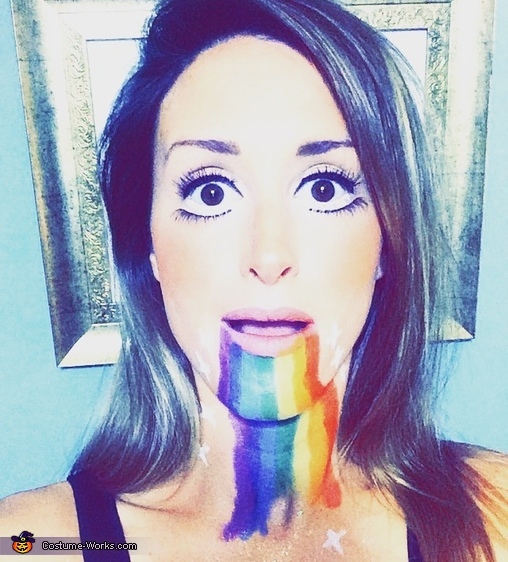 Enlarge your eyes by placing false lashes below your true eyelids, and paint a rainbow from your mouth to neck.